I can’t help, but talk a bit more about wedding dresses. As I was surrounded by them for the past four days, it would be difficult not to. I want to introduce you a designer who is like a John Galliano of the bridal world. His show was AMAZING! Quite theatrical, very extravagant, all big hair and loads of accessories. I loved it, but for a wedding dress I’d prefer something simpler. But the detailing and finishes were awesome. 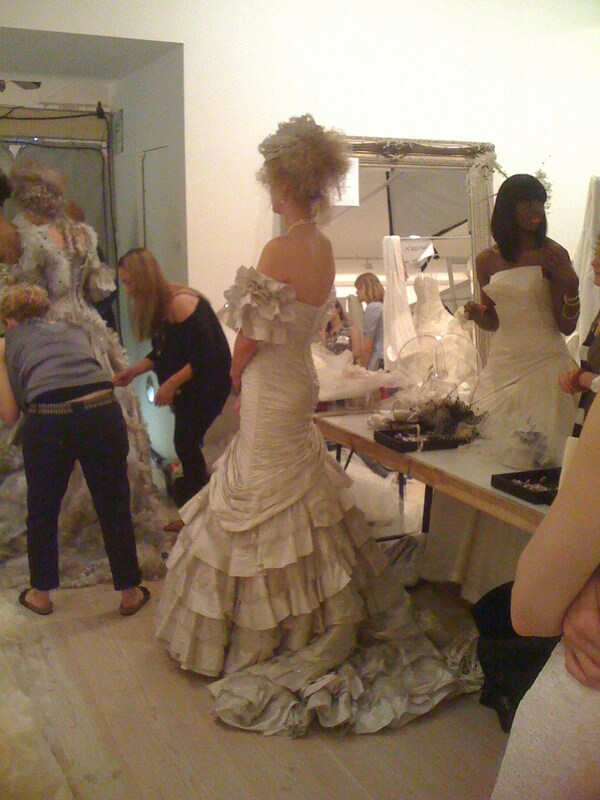 Ian Stuart is a genius! I’d recommend you check out his website ianstuart-bride.com. I am bringing you an official picture of one of his dresses for SS’10 and also some behind the scenes from the show. Enjoy.